Linux Kernel 4.7 got 5th point release i.e. 4.7.5. Yesterday, On 24th Sept, Greg KH announced the release of Linux Kernel 4.7.5. This new version has 213 files changed,1774 insertions and 971 deletion.These changes have brought improvement in the base kernel. Some drivers have also came across with betterment and fixed like gpu,usb,ethernet as well. 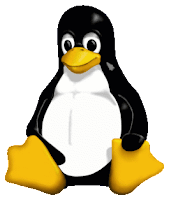 All the users on Linux Kernel 4.7.y version should update to the latest one to have better Linux experience. Download the latest Kernel 4.7.5 from here.